President Barack Obama will be in Chicago today to announce the Pullman National Monument—Chicago's first National Park Service site. 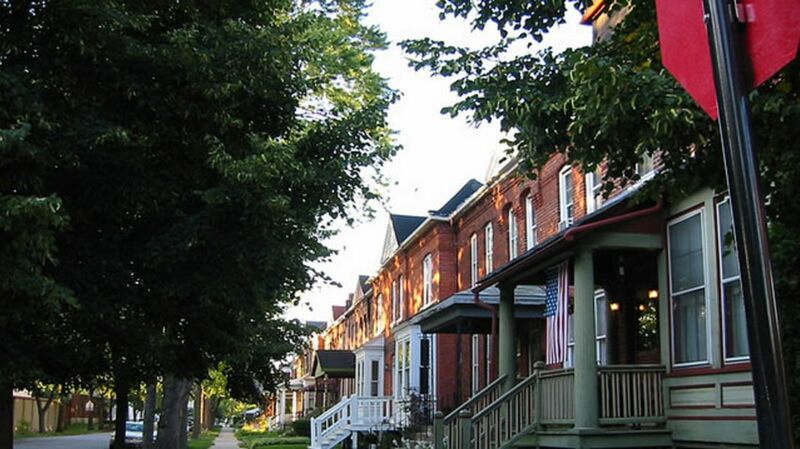 The Pullman neighborhood is named after George Pullman, the industrialist who bought 4000 acres south of Chicago in 1879 to create a community for his employees to live—a hopeful "worker's utopia." Then, when Pullman refused to lower rents after lowering wages, his workers went on strike, shutting down most railroad travel west of Detroit. The area is also important in the history of civil rights: Pullman hired African Americans shortly after they were emancipated to work as waiters, porters, and maids in his sleeper cars. In 1925, those workers organized a union, called the Brotherhood of Sleeping Car Porters. The union's negotiations with the Pullman Company resulted in a collective bargaining agreement—the first such agreement between an African-American union and a major company. The new 203-acre park has already gathered almost $8 million from patrons who donated to the National Park Foundation, the non-profit partner of the National Park Service. The money will go toward building visitor centers, exhibits, and other educational programs to help unify the community. On top of the Pullman Monument, Obama will also announce the Honouliuli National Monument in Hawaii and the Browns Canyon National Monument in Colorado. The president has created 16 national monuments during his time in office under the 1906 Antiquities Act. This is all in anticipation of the National Park Service Centennial in 2016. To celebrate, the National Park Foundation is also starting a campaign this spring called “Find Your Park.” The initiative will help people connect with their parks and inspire future generations to become advocates. The foundation also hopes to increase donations from private support to help the parks.